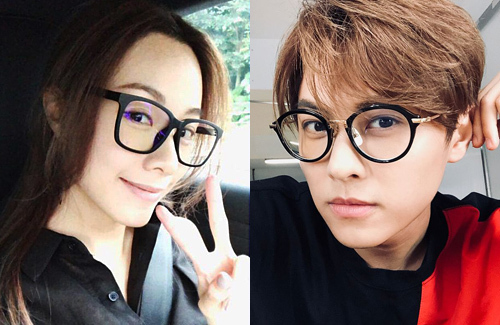 Since admitting they were dating in July, Stephy Tang (鄧麗欣) and Prince Chiu‘s (邱勝翊) love has only increased in intensity. A source close to the stars reveal that they are semi-living together, and dating with marriage in mind. After Cherie Ying (應采兒) brought them together, Stephy and Prince started dating despite their five-year age gap. Prince was initially attracted to Stephy because of her straightforward personality and respect towards seniors, and those same qualities won over his family. His charming personality is also well liked by Stephy’s family. With Prince’s entertainment career based in Taiwan, and Stephy residing in Hong Kong, the couple faces the frequent challenges of a long-distance relationship. When they miss each other, Stephy and Prince are not shy to leave sweet messages for each other with fans cheering on. Whenever he has a free weekend, Prince will fly to Hong Kong and stay at Stephy’s home. Since she is already making frequent visits to Taiwan, Stephy even decided to open up a drinks shop there. Friends are thrilled that Stephy and Prince’s relationship is going so well, and revealed that they have already talked about marriage. Prince’s original plan was to start a family when he turned 33. Although he is only 29 now, he may change his mind sooner, as time spent together is so rare for the couple. Very happy for the two of them. Stephy deserves this happiness and Prince Chiu is a cool guy, his ex, Raine Yang has found her real prince charming, and this Prince deserves a girl to love too. I love his family. So in tune with reality and not screaming bloody hell because his girlfriend has the audacity to date their loved one who is …gasp!! !, five years older. Why are these insipid media clowns griping about the five year age difference. Then again, they can only be what the rest of their society is. All the best to the couple. Alex must be thumping his chest right now crying about her marriage decision. He was so adamant that Stephy didn’t want to get married. Turns out, she just doesn’t want to get married to him. Gotta applaud her nerve in dating a guy for about a decade and never pulling the trigger on marriage. @coralie I rarely believe people when they say they don’t believe in marriage or want to get married. It’s usually just a case of not having met the right person.